Great news and just in time to get yours before Sale-a-bration ends. 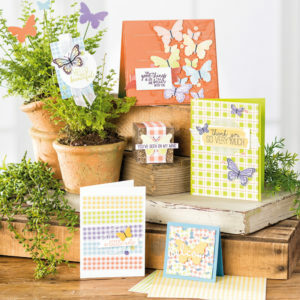 The Butterfly Duet Punch is back in stock, so that means if you have been waiting to get your Butterfly Gala Bundle (150599) or Butterfly Duet Punch (148523) you can order it today and receive the FREE Sale-a-braiton coordinating Botanical Butterflies Designer Series Paper too! 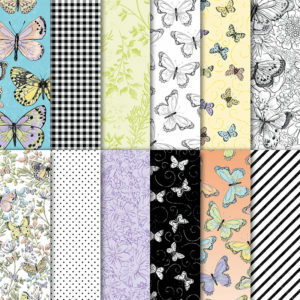 So why not check out the Gingham Gala Suite of products that includes our wildly popular Gingham Gala Designer Series Paper (148554), Adhesive Backed Sequins (148561) and more? 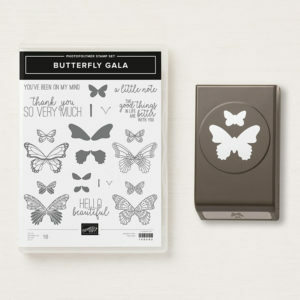 This entry was posted in Announcements & New Products and tagged Butterfly Duet Punch, Butterfly Gala by Stamp with Jini. Bookmark the permalink.